Language: English, German, Spanish, French, Japanese, Dutch, Persian, Polish, Portuguese, Swedish, Norwegian, Suomi, Turkish, Italian, Czech, Russian, Chinese. Operating system: Windows 7 32 & 64 bit, Windows 8/8.1 32 bit, Windows 10 32 bit. 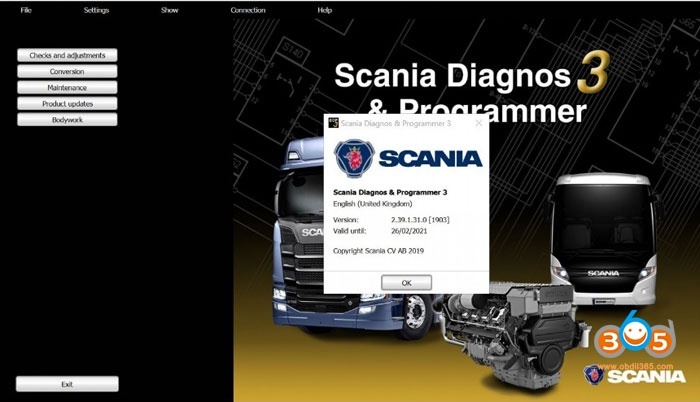 Scania SDP3 is the latest diagnostic software for Scania diagnostic tool VCI 2 and Scania VCI 3. SDP3 (Scania Diagnos & Programmer) software is an OEM software designed to maintain Scania trucks, other heavy vehicles and marine or industry engines over VCI diagnostic interface.